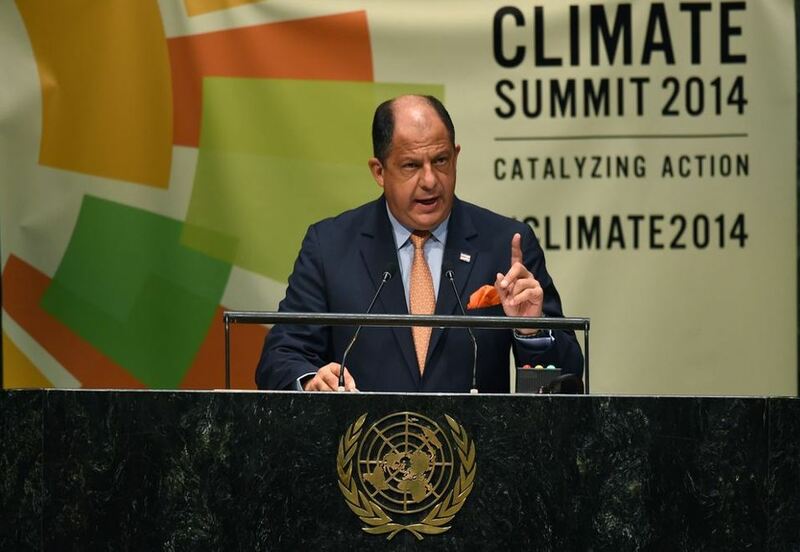 COSTA RICA NEWS — President, Luis Guillermo Solís, today called for cooperation from more developed countries to combat climate change, in the UN climate summit taking place in New York. “If we do not cooperate with solidarity, we will not succeed. Certainly our actions must be national, but solutions must be necessarily common. 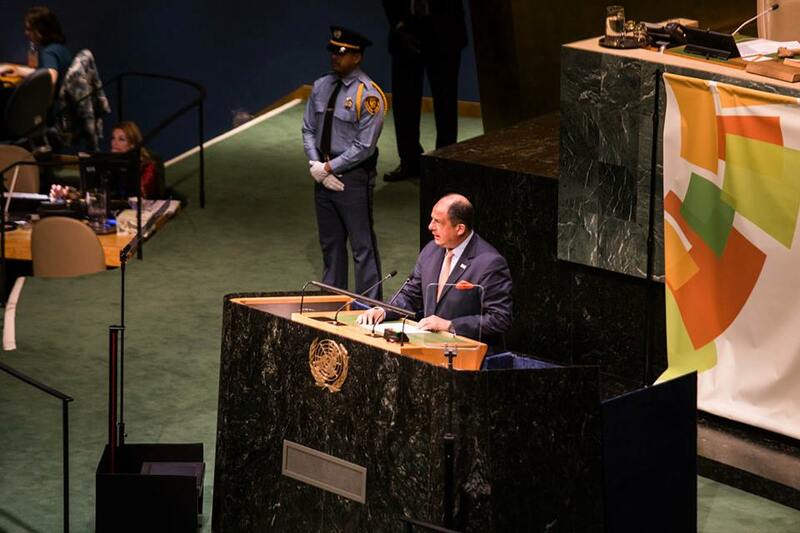 Developing countries cannot continue subsidizing emissions of polluting countries,” said Solis. The president explained the specific actions of his administration to climate change, such as changes in public transport and clean energy production. In the area of transportation the government will drive the creation of a coordinated network that includes an electric rail system supplemented with a new system of bus service using only biofuels. In energy, the president said that Costa Rica maintains its matrix production of more than 90% based on renewable sources. The President highlighted the launch, next year, of the Reventazón hydroelectric project with the goal of generating electricity from fully renewable sources. 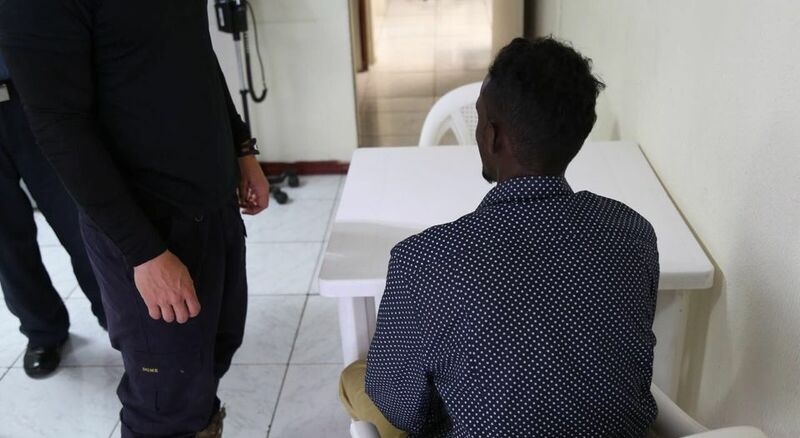 Looking ahead to the next meetings in Lima and Paris, the President said the words that should lead the discussion are: commitment, ambition, cooperation, fairness and transparency.